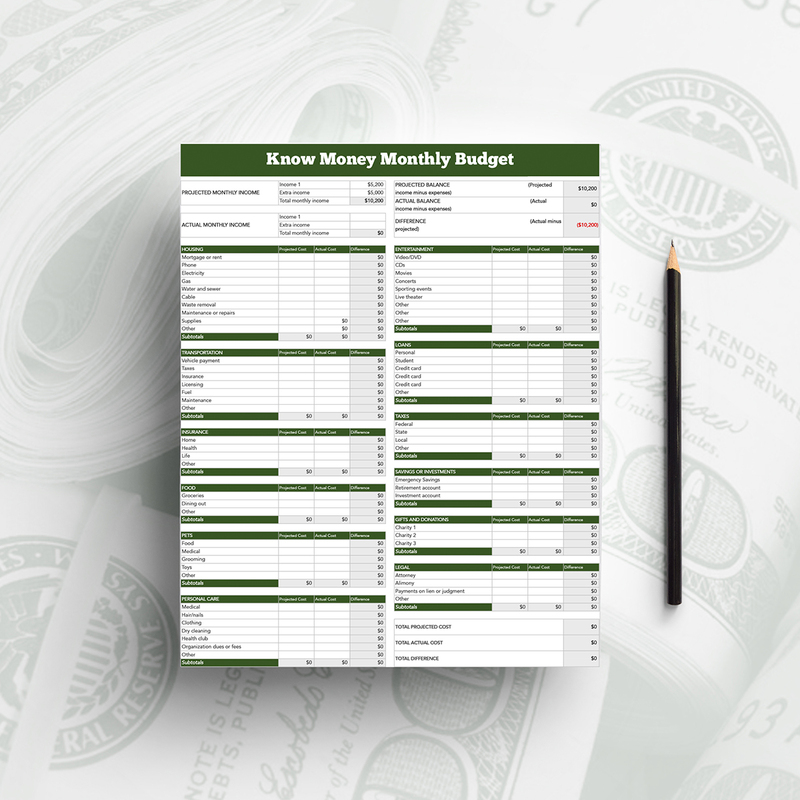 Start Building Your Financial Toolkit - Know Money, Inc.
What’s the best way to reach your financial goals, and stay on top of debt? Tracking your expenses and income each month. 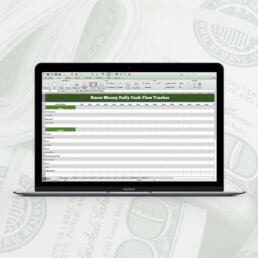 Grab this one-sheeter to keep tabs on your cash. Are dining out and impulse shopping wrecking your budget? 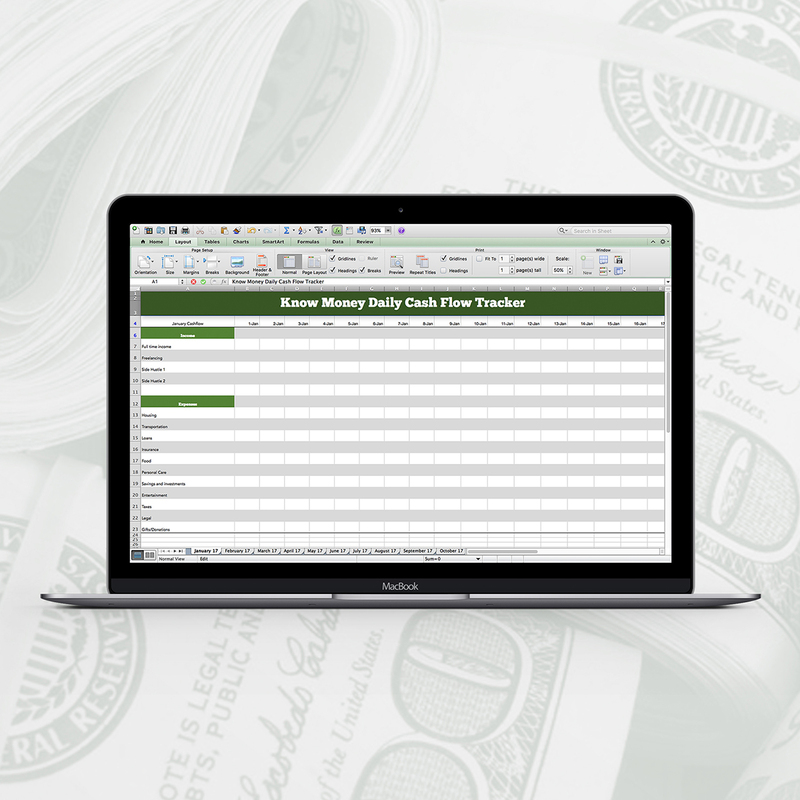 #NetflixAndChill with your Daily Cash Flow Tracker at least once a week. Know where your hard-earned money’s going. From the $20 you borrowed from your roomie for gas to the $20k you owe Sallie Mae, you’ve gotta know what you owe. Use the Digital Debt Tracker to start on your way to being financially free. Management visionary Peter Drucker was on to something when he said, “What gets measured gets improved.” If you’re living paycheck-to-paycheck or feel like you don’t know where your money’s going, check out these apps. Google Sheets (free – Android; iOS) – This app is for those who want to be more detail-oriented when tracking your income, savings, and expenses. Essentially, Google made Microsoft Excel into a cloud-based platform so you can track your money from anywhere. Want to give it a shot? 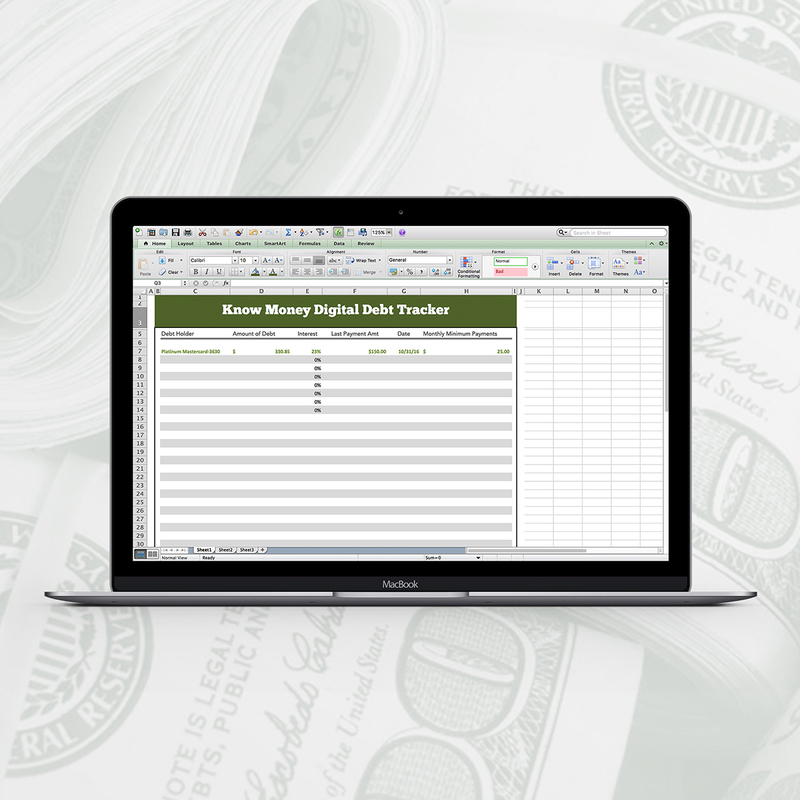 Download the Know Money Digital Money Tracker above. Mint (free – Android; iOS) – Many people use Mint because it gives you a snapshot of where you are financially with its personalized monthly spending trends and overview. You can link most financial institutions, credit cards, and investment accounts to the app, and after some customization, the app will correctly categorize spending. EveryDollar (free; EveryDollar Plus $99/year – Android; iOS) – Modeled after Dave Ramsey’s “Total Money Makeover” teachings, this app focuses on “giving every dollar a job,” while organizing your spending into eight categories. If you opt for the paid version, you can link your bank to have your spending tracked automatically. Whether you’re a beginner looking for ways to get your feet wet in the stock market or an advanced investor who wants to customize how they see their investments, these apps will give you what you need. Acorns ($1/month or 0.25%/year for accounts $5,000+ – Android; iOS) – If you’ve never invested in the stock market, this app can get you off the sidelines. It has a round-up feature (once it’s connected to your bank account), to invest your pennies, dimes, and quarters into the stock market. If you spend $19.11 at dinner, Acorns will round that up to $20 and take the $0.89 difference to invest in a pool of stocks (known as a portfolio) of your choice. Robinhood (free – Android; iOS) – We hate fees. Hate, hate, fees. And that’s why we like Robinhood. With zero commission fees, Robinhood is an online-only brokerage. No storefronts and utility costs means the savings get passed on to you. Outside of not having to pay for trades, Robinhood’s a winner because its minimalist interface makes reading graphs easy on the eyes. This app is a gold mine when it comes to get getting started as an investor. These apps aren’t really investment tools, and the interest rates are pretty disrespectful. But in this case, that’s fine. These apps don’t help you make money, but instead, help you build your savings muscle. Consider them digital piggy banks that have jumped off the dresser and straight into your phone. Digit (Free for 100 days, $2.99/month after – Android; iOS) – Digit automates your savings like no other. After connecting to your checking account and it analyzes your spending, it will start withdrawing money that you’re not going to miss ($1.47 here, $0.58 there) and puts it into an FDIC-insured account. Digit also has a great communication tool as it talks to you via text messaging about your checking account and your Digit savings account. Qapital (free – Android; iOS) –We love solid, specific financial goals around here, and this app is all about setting yours from the outset. Like Digit, Qapital links to your bank account and helps you save money as it learns more about your spending habits. They’ve expanded their offerings to include a debit card to increase conscious spending and help you hit your financial goals. With the finish line in mind, Qapital is helping you run toward a better way to save. Tip Yourself (free – iOS) – Tip Yourself is a virtual savings jar that you can deposit money into at anytime to reward yourself. Did you decide to meal prep lunches instead of carryout? Transfer yourself $10 for your vacation fund. Did you stop an impulse buying episode by telling yourself, “just one more day”? Tip yourself the down payment on your dream house. The app also lets you create savings goals and shows you how often you save. If you’ve had trouble saving, this app will definitely help.